Members of the diplomatic group, Mr Satoru Satoh, general Director for Latin America and the Caribbean of the Japanese Ministry of Foreign Relationships, executives of political parties and solidarity organisations and personalities of the cultural world, such as the internationally famous Japanese photographer Eikoh Hosoe, attended the opening ceremony of the exhibition. The Cuban Ambassador referred in his speech about the rich trajectory of the fifty years of Roberto Salas, making references to important moments of his work. 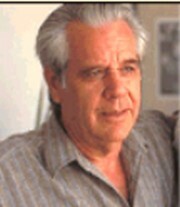 He indicated that the main star of the exhibition is the simple and normal Cuban people, captured by the lens in the streets, workshops, agricultural works and classrooms, a true mosaic of random selected faces in different locations of the national territory that summarize the physical image and polychrome of the Cuban people in their daily work.